If you've been lucky enough to attend a Masters Tournament, no doubt you want to go back. And if you've never been, then you're probably already dreaming of heading to Augusta National for the next one. Masters tickets aren't impossible to find, but they are among the toughest tickets in all of sports to get. And if you are able to find Masters tickets, it will probably require a lot of money — perhaps even thousands of dollars — to purchase one. But there is some good news: In 2012, Augusta National Golf Club began making a (very) small number of tournament tickets available for purchase through a random drawing following online registration. The club also changed how it handles practice-round ticket requests, requiring all ticket-seekers to register online (abandoning the old mail-in process). Prior to those announcements, tickets to tournament days (rounds one through four) had not been available from the Masters Tournament directly to the general public since 1972. That year, Augusta National Golf Club opened a waiting list, but due to demand, the waiting list itself had to be closed in 1978. Twenty-two years later, in the year 2000, a new waiting list was opened, but it is now also closed. There are options, however; some of them relying on luck and all of them requiring a good bankroll. The options are much more limited for tournament days, but open up a bit for passes to Masters practice days. Tickets to The Masters Tournament are among the most difficult to get tickets in all of sports. Prices of Masters tickets listed by ticket brokers can easily reach into the thousands of dollars for tournament rounds. Augusta National Golf Club runs The Masters and also runs a ticket lottery. The lottery awards tickets to practice days before the start of the tournament, plus a very small number of tickets for tournaments rounds. To create an account, take part in the ticket lottery, and be notified annually, visit the tickets section of the Masters' official website. Masters badges are "among the most coveted tickets for any event, sporting or otherwise," according to Brian Talbot of TickCo Premium Seating. "From my experience, it's safe to say these are probably the toughest tickets to get in the world," Talbot said, "with Super Bowl tickets running a close second, depending on which teams make it and where the Super Bowl is hosted." But there is a tiny window through which fans can obtain Masters tickets for tournament rounds directly from Augusta National. 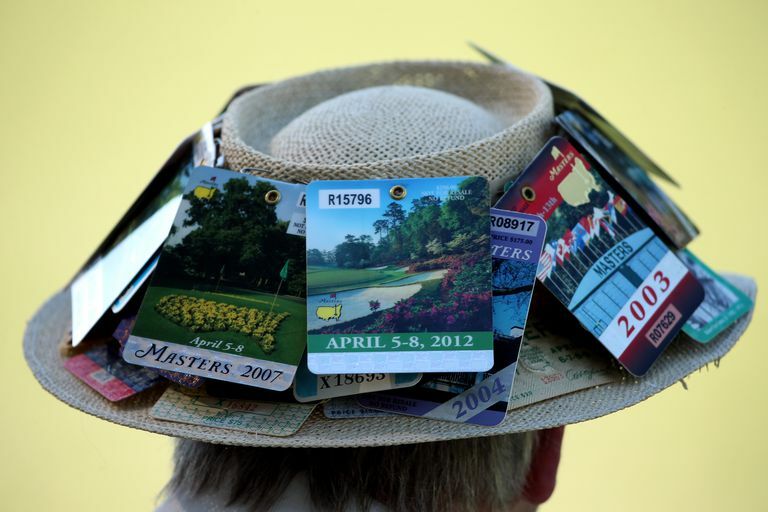 Each year, a small number of tickets are returned to The Masters following the deaths of longtime ticketholders, or for other reasons. Previously, those tickets were simply removed from circulation. But since 2012, fans can register online to take part in a random drawing for those tickets. To do so, golfers much register on the tickets page on Masters.com; registrants receive notification when the ticket application process is opened each year, shortly following each Masters. Registrants are required to provide credit card information during the online application process. The Masters doesn't say how many tournament tickets are available, but rest assured the number is very small and your odds are very, very long. Those who are super-lucky are notified by email and must pay for the tickets at such time. But if you're not among the super-lucky who get those tickets, what other options exist for golf fans desperate to attend The Masters during tournament play? 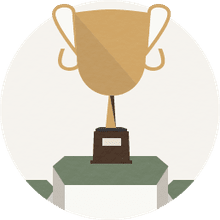 Ticket brokers are the easiest route since many ticket brokers have been buying tickets from Masters ticketholders for years. But those tickets are hugely expensive. Tournament badges at ticket brokers might begin around $1,500 and can soar as high as $12,000 for a single ticket. As with any major purchase, shop around among different ticket brokers to see if you can find a good deal (comparatively speaking of course). Your best bet is to buy early if you're going the ticket broker route since brokers have a limited supply. The larger, most established brokers might have 100 tickets available, while smaller brokers may have only one or two. The auction giant eBay is another option, although you're more likely to find practice tickets than tournament tickets that way. And you can always simply show up outside the Augusta National gates and hope to get lucky with a scalper. Ticket scalping was legalized in 2001 by the Georgia Legislature so long as the sale occurs at least 1,500 feet away from the event site. However, you can be the unfortunate recipient of a fraudulent ticket if you use this method to obtain tickets, so be careful when buying. Tickets to Masters practice days are much easier to come by than tournament badges, although you'll still need a little luck and a good amount of cash. Practice tickets are more readily available through brokers and on eBay, but the good news is that Masters practice-day tickets are available for purchase by the general public from The Masters itself. A limited number of practice tickets are sold in advance by The Masters, by online application only. Whether you get tickets — and how many you get — is the result of a random allocation among all applicants. But your odds of getting Masters tickets for practice rounds are much, much better than getting tournament tickets. Practice round tickets from The Masters have face values of $75. If you have to buy through a ticket broker, you'll likely pay several hundred dollars for Monday and Tuesday tickets, perhaps more than $1,000 for Wednesday tickets (because of the ​Par-3 Contest). Go to the tickets page on Masters.com and follow the online registration/application process. The application for next year's Masters usually opens a month or two after this year's Masters concludes, but register early to make sure you don't miss out on the opportunity. Following a random drawing to allocate the practice-day tickets, lucky golfers are notified by email and must pay at that time. If you've registered at Masters.com for previous year ticket drawings, you don't need to do it again. Once you're in the system, you'll receive a notification when the next ticketing process begins. Have questions about the Masters' own ticketing process? The Masters Tournament ticket office can be reached by phone for more information.